Gareth Winter - a life dedicated to cycling. After fighting leukaemia, a lung tumour, DVT (the list goes on), my dad is on a quest to regain form, so we headed to Mallorca. Over the last five years, I have dropped from 90kg to 63kg. Climbing is a bit easier these days… So, how did I transform from ‘Magnus Backsteadt to Philippe Gilbert’? Winter, time to rebuild your body after another season of repetitive-rotary-abuse. The Rulebook According to G (Gareth, not Geraint). Limited edition prints and Illustrations on fine art paper, framing and bespoke sizes availbale. 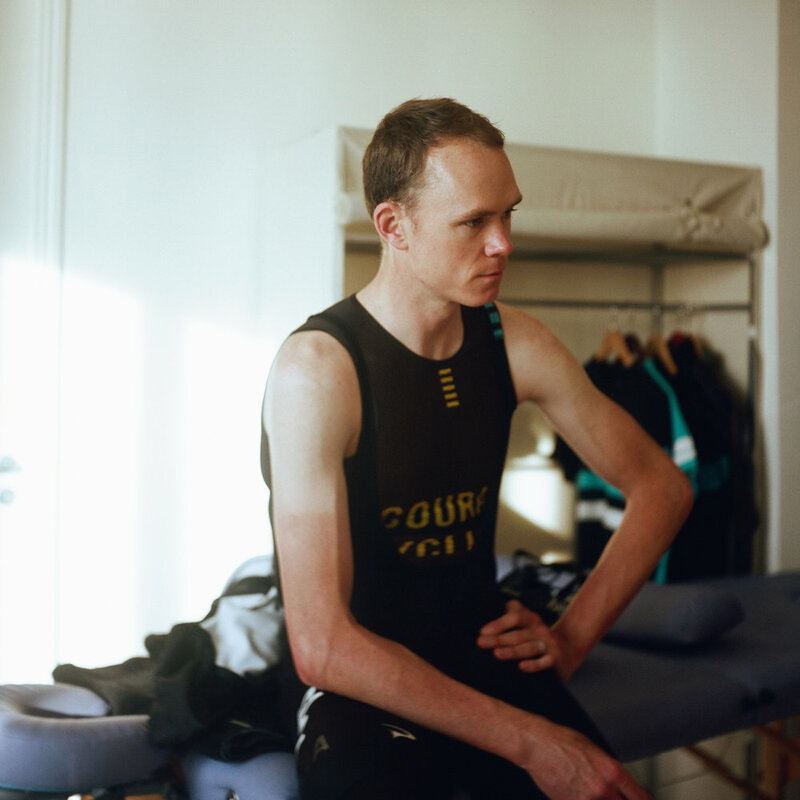 Chris Froome fresh from a training ride in February 2016, Monaco. Photographed with a Yashica Mat on Kodak Portra 400 120mm film. Hannah Barnes fresh from a recovery spin after the London Classique, July 2016. Photographed with a Yashica Mat on Kodak Ektar 100 120mm film. Sir Bradley Wiggins warming up for the TWC 2016 TP semi final. Photographed with a Yashica Mat on Kodak Portra 400 120mm film.